can be used for any type of jewellery with any type of pendants. Any number of quantity can be purchased. Features: - Available in various colors. - Attractive. 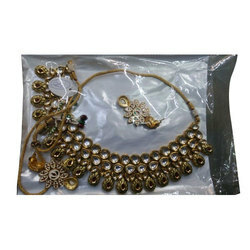 - Made from high grade kundan. - Unmatched collection. - Unique in designs, finish, shapes and sizes.